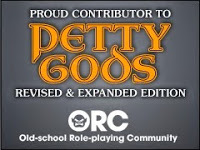 April's Free d30 Table is now up on DTRPG. I've been working on a series of alternate treasure tables for use with any OSR game. My Patrons have been getting the tables as I finish them, and I've been putting them up on DTRPG as PWYW titles on a monthly basis. The d30 Random Gem Generator was quite popular, so this month's table is a d30 Random Jewelry Generator. May's table is already finished and I'm working on the final two tables for the series. I do have an idea for another random treasure, but I'm not sure if it is worth fleshing out. 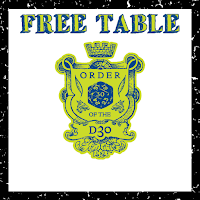 If you want to get to the new d30 table, feel free to click on either graphic in this post, or use this link.